Real Estate - Ponzi Scheme? China: Communist, Dictatorship, Capitalist or Democratic? Most Want Less Immigration, But Politicians Want More. Why? 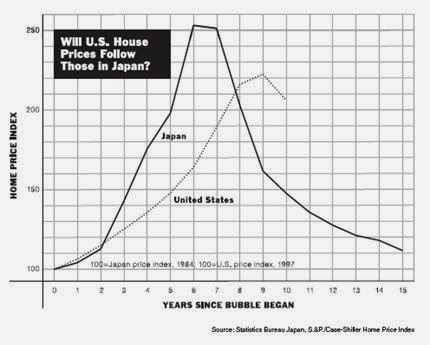 Because people believed that house prices go up forever, real estate bubbles were fuelled in the U.S., Spain, Ireland, UK, France, Dubai and Japan. All of which have since collapsed. Real estate bubbles in China, Canada and Australia have yet to collapse. Real estate is just one of many bubbles. Multiple bubbles have occurred in your lifetime. They have happened throughout history and will happen into the foreseeable future. There is a common phenomenon with bubbles. When people are in a bubble, they usually deny it, do not recognize it or explain it as the result of non-bubble factors. Even the smartest people may not recognize it and fall prey. One of the most brilliant minds in history did exactly this: Sir Isaac Newton lost the equivalent of 3 million current day pounds, to the South Sea Company bubble in the 18th century (source). Only a few gave "bubble" as a possible cause of the $147 per barrel price. After the collapse of this bubble, 60 Minutes explained how the biggest oil companies were Wall Street speculators, not Exxon or Chevron, who hoarded the oil to maximize profits from the bubble (see episode , read transcript). The memory is so short that only 5 years after the Dot Com bubble collapsed, most Americans believed that house prices will always go up. Bubbles are so powerful that it can affect one's wealth more so than one's salary. Examples include John McAfee, the founder of McAfee anti-virus software, whose net-worth dropped from $100 million to $4 million, due to the collapse of the recent real estate bubble. The bubble effect, which is already very powerful by itself, is multiplied many times by leverage in housing. When you can buy a home with 5% down, you have more leverage than what most companies dream of having. To explain how leverage works, let us say that you invest $10,000 in gold and it increases by $1,000. You made 10% return. However, let us say you use your $10,000 as a 5% down payment to buy a $200,000 house instead. The house price increases by 10% to $220,000. You made $20,000 return, or 200% return, on your $10,000 investment. Of course, the reverse is just as extreme. When the house price drops, you can lose all or more than all of your equity. 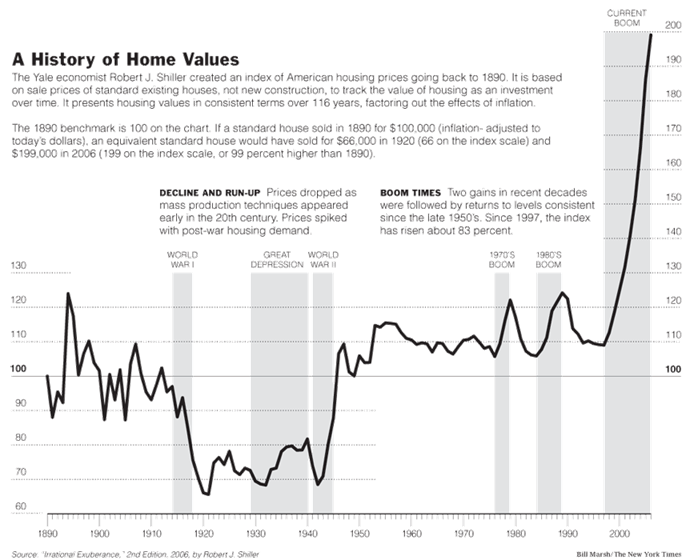 Yale University economist Robert Shiller compiled historical home prices dating back to 1890. His chart below reflects how the housing bubble has caused Americans’ net-worth to explode and collapse, to the extent not possible from regular salary. Yet, few schools have a course on bubbles. When prices go up, people see and hear about others making money. Their greed emotion kicks in. They want a piece of the action, so they jump onto the bandwagon. The higher the price goes, the more greed there is and the more people that want to jump on. However, it is questionable if greed initiated the U.S. and Canadian housing bubbles. Read "Housing, the most manipulated market in the world" to understand how government socialist policies massively manipulated the housing market to create the U.S. and Canadian housing bubbles. Household income has grown at a very modest pace, if any at all. Therefore, the fuel for the U.S. and Canadian housing bubbles was not income growth. It was bigger and bigger mortgages and debts, that the government encouraged consumers to take on. At one time, mortgages normally had 25 year amortization and 25% down payment. In the past decade or so, this was relaxed to 40 years and down payments was allowed to come down to 0%. If the current mortgage rates rise, which they eventually will, this will make mortgages even more difficult to pay off. Relaxing mortgage rules enables more people to borrow and buy, which fuels the demand curve, which pushes prices higher. Is there a limit to this relaxation of mortgage rules? Can we continue extending amortizations past 40 years? Can we reduce down payments to negative %? Using simple math, we know that there is a limit. This source of bigger mortgages have been reversed in the U.S. and decelerated in Canada. Housing is usually a person’s largest expenditure. It has a significant effect on the GDP. In addition to government’s borrowing and spending, the more the government can get people to borrow and spend on housing, the more the GDP grows. According to this August 27, 2006 New York Times article, "...real estate sector has accounted for 44 percent of jobs created since 2000 and employs more than one in 10 American workers..."
However, household debt as a percentage of income has more than doubled in the past 30 years (see chart below). This is also part of what billionaire investor George Soros’ calls the “super-bubble” (source). The significant incline in the past 15 years coincide with the American housing bubble. George Soros expected this credit bubble to collapse in the late 1990’s. To his surprise, it kept growing for another ten years. Therefore, bubbles can grow for many years, even decades. Note from the above chart that Americans' household debt to income ratio peaked at approx. 124% in 2007-2008, coinciding with the peak of their housing bubble and fake economy. After the bubble burst, they have deleveraged down to approximately 105%. Homes in Florida now cost $30 to $100 per square foot. Homes in Canada now cost $200 to $700 per square foot. Is this a case of "monkey see, monkey do"? Most of the market manipulation through relaxation of mortgage rules in Canada has happened in the past decade or so. However, is this sustainable? The U.S. has shown that is not. In free markets, price tends to find equilibrium, which is where supply and demand curves intersect. Now that the price has dropped, the U.S. government is fighting this equilibrium every way they can. But, it is impossible to manipulate and artificially inflate the demand forever, without getting somebody to pay for it. To do this, the government is getting tax-payers and the next generation to pay. If household income increases at the same rate as house prices, this is sustainable forever. However, in a housing bubble, the price goes up faster than household income. This can happen for several years, but the laws of simple math show that it is impossible for this to continue forever. Using simple numbers to make the point, let us say that a household currently spends 50% of income to service the debt on housing, and 50% on everything else such as food, clothing, etc. When house prices increase faster than income, the percentage of income spent on housing will increase to 60%, 70% and so on. Mathematically, it is impossible to surpass 100%. However, the threshold is far lower than 100% as people still need to eat and clothe. When prices cause debt-servicing to surpass this threshold, there will be fewer purchasers. When this happens, prices may stop increasing. When this happens, the speculators start behaving like speculators on the stock market. The shrewd speculators start locking in profits by taking money off the table. When they sell, price starts to go down. When this happens, more speculators lock in profits. When they do this, price goes down more. When this happens, the fear emotion kicks in causing the masses to sell, driving the price down even more. Note that in most markets, when it falls, it usually falls twice as fast as it rises. Eventually, there might be panic which causes prices to drop so much that home-owners become underwater (which means that the price is lower than the mortgage). According to this article, half of Americans are underwater. According to this article, 25% of American home-owners who can afford to pay, are walking away from their mortgages because they are underwater. This brings us to the Canadian housing bubbles. Yet, house prices have dropped before and after 1989. In this decade, real estate agents and others are re-creating the “buy now or never buy” mentality, according to Garth Turner. Each of the above points are debatable. There was immigration in the U.S. and foreign investors in Dubai. Yet, their bubbles eventually collapsed. According to MacLean's magazine, Canadian real estate is not under-priced compared to other world-class cities. Vancouver has the most expensive housing market in the world (source). Japan has less land per person than most countries in the world. It has less than half the land of Ontario and approximately ten times more people. Yet, their real estate bubble burst in 1989 and has never gone back to the peak. (Chart below is from March 2008.) Therefore, land is not be a valid argument for Canada’s high prices. According to Finance Minister Jim Flaherty, condominium speculators are highly active in Toronto and Vancouver (source). One can argue that, in Canada, condos may have been bought on speculation, but very few houses were bought on speculation. However, this was also true in the U.S. Just as in the U.S., Canadian house buyers are stretched to the limit. One can argue that, in Canada, most mortgages have fixed rates, not variable rates, and therefore most home-owners will be insulated from rising interest rates. However, new home-buyers are not insulated. Even if current home-owners do not sell, if there is a drop in buyers, prices will drop. If prices drop, this might trigger speculators to lock in profits and start the domino effect. 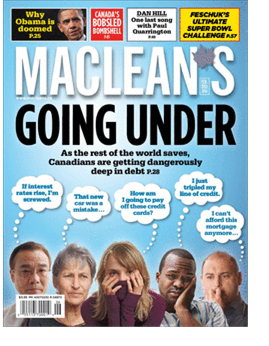 Toronto Star, April 2, 2010 : “…debt-to-income ratio…hit a record high"
The chief executives of the big six Canadian banks pushed government to tighten mortgage rules (source). Why did they, when they make a huge bulk of their profits from mortgages? Is it possible that they are concerned about a housing bubble? Why would a collapse of the housing bubble be bad for the banks? The same reason it was bad for American banks. In extreme cases, borrowers declare bankruptcy, default and walk away from their mortgages. Banks are left holding the bag trying to sell homes that are worth less than the mortgage. If the Canadian banks are concerned about lending money to borrowers who might default, then why don't they simply be more discriminate in who they lend to? If they do this, they are concerned that they will lose those customers to a competitor for the long term. They want the government to tighten mortgage rules for every bank. This way, the bank does not lose market share to other banks. We believe that Canada's housing bubble surpassed the peak of the U.S. housing bubble in 2010 when Canada's household debt to income ratio surpassed the peak of the U.S. ratio in 2010. As mentioned above, Canada's ratio has continued soaring to 150%, past the American peak of 124%. However, this is misleading. For young couples who have to pay bubble prices, this ratio is much higher. In the example below, it is 482%. Mortgage amortization is 35 years. If they have a $410,360 mortgage, that means that their down payment was 3.7 percent. This is Canada's version of the American subprime mortgage. This couple has 96.3% leverage. Many companies, with positive net worth and significant profits, try but cannot get leveraged anywhere near this. If house prices come down, this couple will be crushed into financial ruin. As public sector workers, they get a pension at age 55, which the majority of Canadians do not. This means that the majority of Canadians are even worst off. 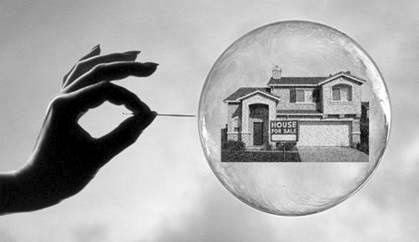 The worst part of this bubble is that it was created and fuelled by the government by stealing money from children and non-homeowners and throwing it at housing, as explained in "Housing, the most manipulated market in the world". If the bubble collapses, this stealing will go into overdrive, because CMHC will lose money due to mortgage defaults. This loss will be taken by all taxpayers and children. This is what happened in the U.S. with Fannie Mae and Freddie Mac. This criminal, reckless, irresponsible mismanagement by the government is what makes people prosper in the short run, but makes the country poorer in the long run. Yet, the government (through CMHC) will force taxpayers and children to insure risky mortgages for bubble priced homes. But they won't insure loans to buy stocks or Florida real estate selling for $40,000. If you were an insurer, would you be willing to insure those teachers' mortgage? No insurance company would ever touch a business with that kind of balance sheet and income statement. We know that it is impossible for house prices to continue rising faster than household income forever. What is not certain is the exact time that price stops rising. We know that there is a probability that speculators will lock in profits by selling, when they see prices flatten. What is not certain is when they will do this after prices flatten. We know that the U.S. government wants to keep interest rates near zero. We do not know when interest rates will change, so home prices can continue rising. However, we know that there is a good probability that nominal interest rates will eventually rise, since it cannot go below zero. Also, what the government wants and what it gets are not necessarily the same thing. Because Canada does not want an expensive Canadian dollar vis-a-vis the U.S. dollar (to help Canadian exporters), the Canadian interest rates are low because the U.S. rates are low. (High interest rates pulls up the country's currency.) The U.S. has been on a spending and borrowing binge. To borrow, they have to auction a good portion of their T-bills and T-bonds to foreigners, such as Japan and China, the two largest holders of U.S. debt. If Japan and China feel gorged on U.S. debt and does not want to buy anymore, especially at such low interest rates, the U.S. may have to offer higher rates to attract buyers. When this happens, U.S. interest rates go up and then Canadian interest rates go up. We know that rising interest rates may cause home prices to drop. If Canada goes into another recession, this may cause prices to drop. In the last recession, the continued rise in Canada's housing bubble helped support its fake economy. If the bubble does not hold in the next recession, this could exacerbate the recession, which could in turn push house prices down further. Astute speculators know that there is limited upside potential in real estate and significant downside potential. They are monitoring real estate very closely and will try to time the market by cashing out when they think it has peaked. It will be very interesting to see how the Canadian housing bubble plays out. 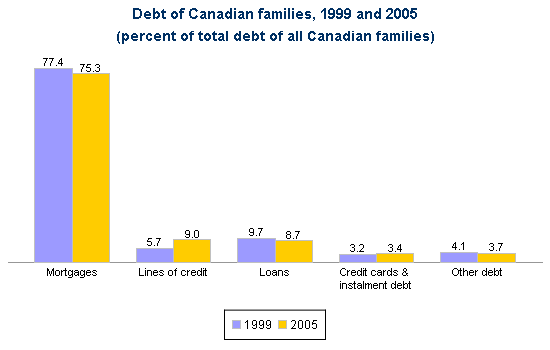 Hopefully, millions of Canadians will not be driven to financial ruin as in the U.S. Since it takes many years for bubbles form, it is mainly the older generation that benefits. Even if the bubble does not collapse, it is a huge injustice as it is a massive transfer of wealth from the younger generation to the old, making most young home-buyers much poorer. Every bubble creates winners and losers. Share the articles with your friends, family, co-workers, colleagues, associates and acquaintances. Use the Share buttons (Mail, Blogger, Twitter, Facebook, Google Buzz, Google +1) at the bottom of the articles. If the comment boxes are not showing, click on "_ Comments and _ Reactions" link below the article. Write and submit articles. If we like them, we'll publish them. Contact us about donating time or money. © Copyright 2008-2011 New World Party. All Rights Reserved. Powered by Blogger.